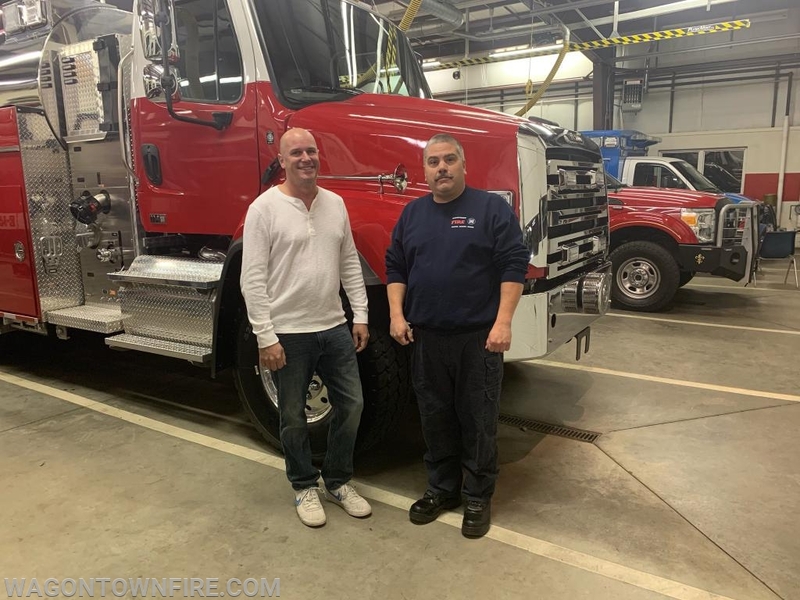 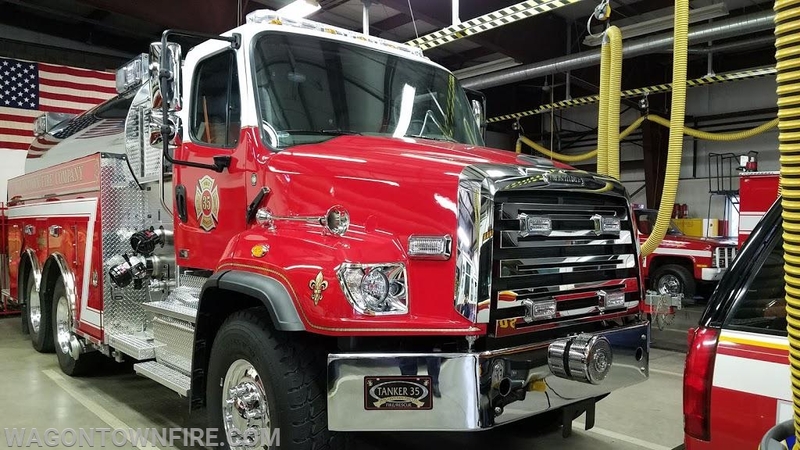 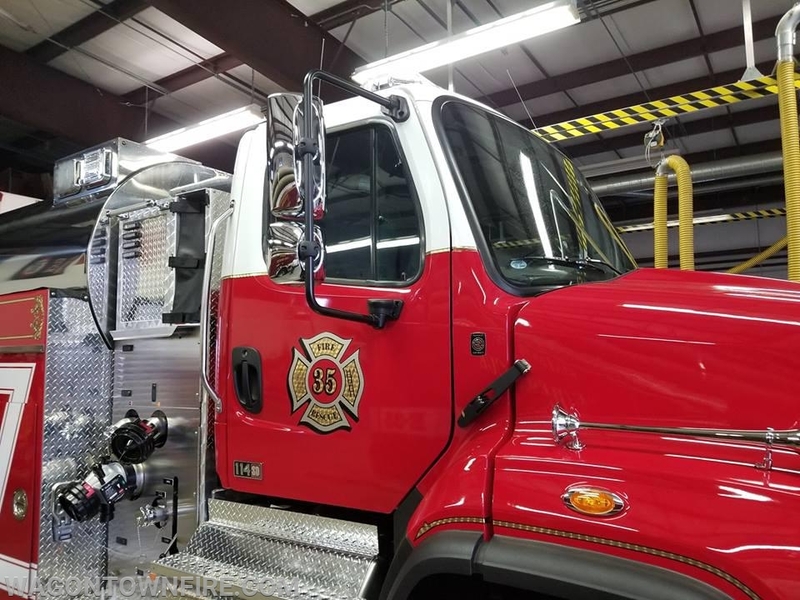 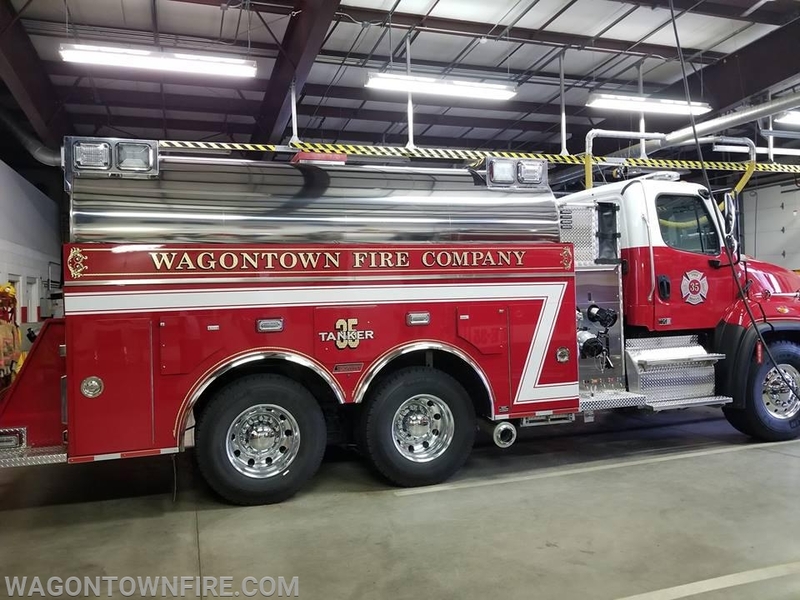 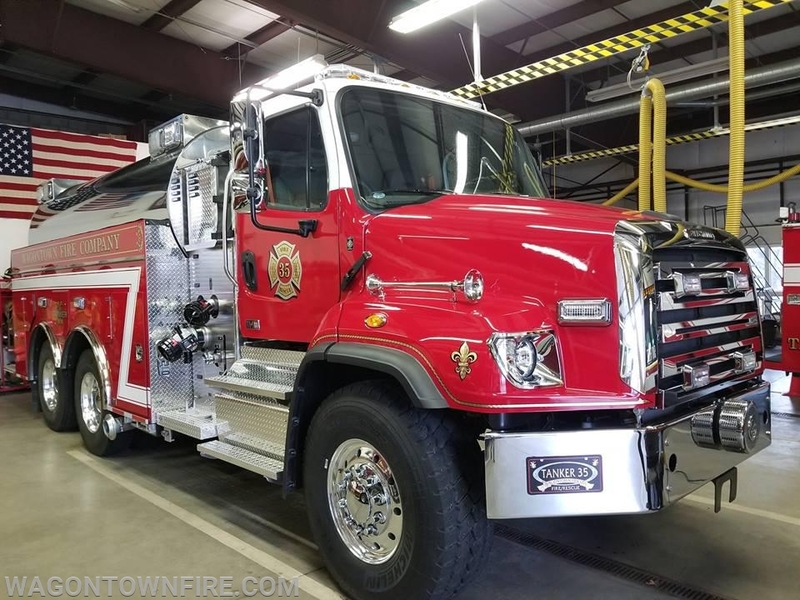 Tonight at 19:00 hours the Wagontown Fire Company placed into service a 2019 Freightliner / Summit 3,000 gallon tanker. 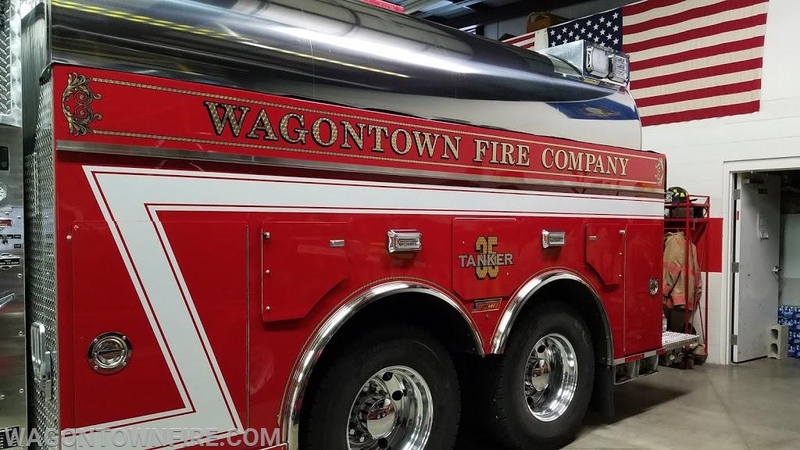 The tanker is equipped with a 1,000 GPM PTO Pump, 200' of 5" hose, 450' of 3" hose, 2 - 1 3/4 cross lay handlines 200' each. 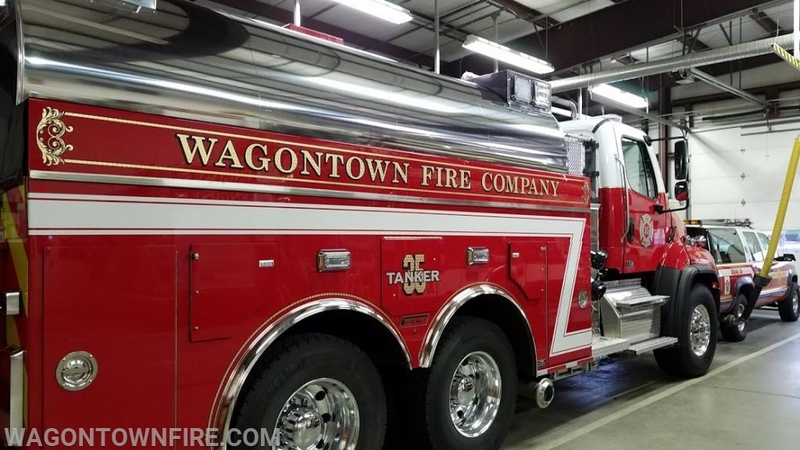 The tanker is equipped with standard tanker and engine company tools and equipment. 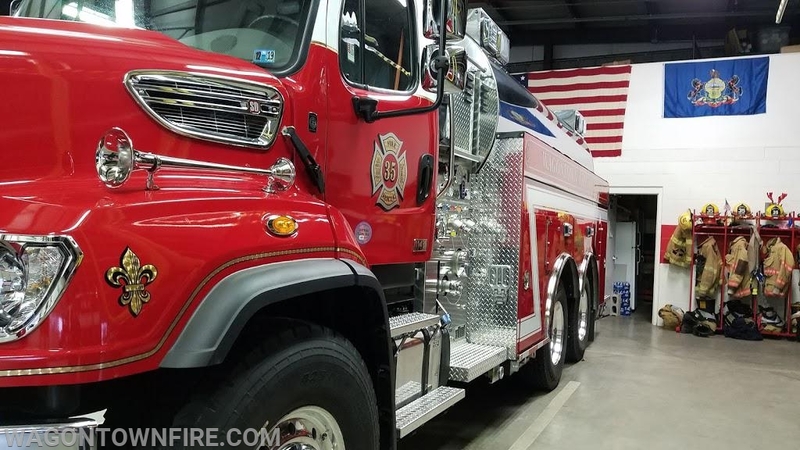 Also carries an AED, 2 MSA Fire Hawk SCBA with spare bottles. 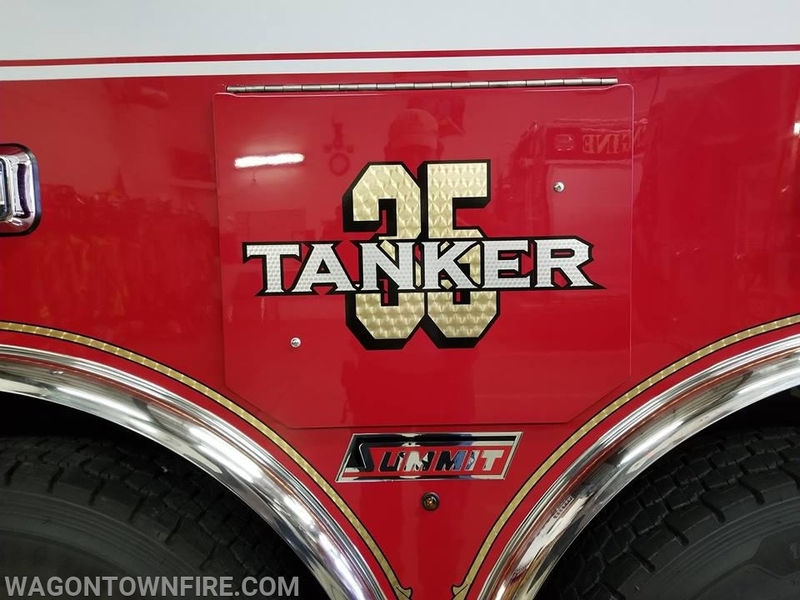 Tanker 35 greatly improves our firefighting capabilities providing that needed water supply on the fire or incident scenes. 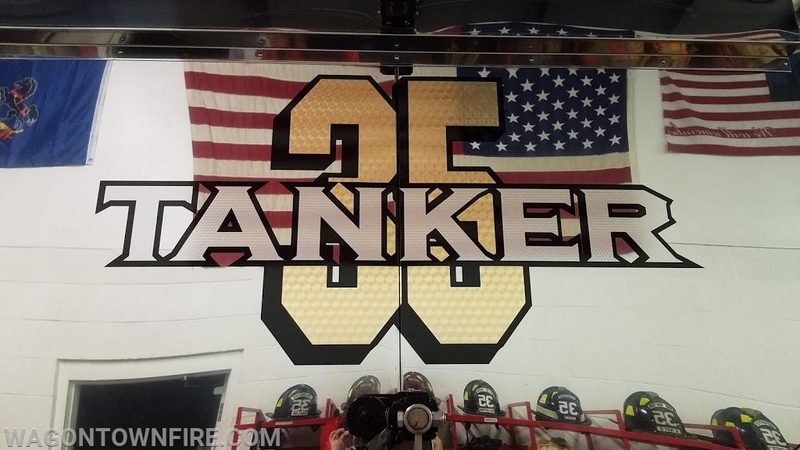 Tanker 35 in service 19:00 Hours with Chester and Lancaster Counties.